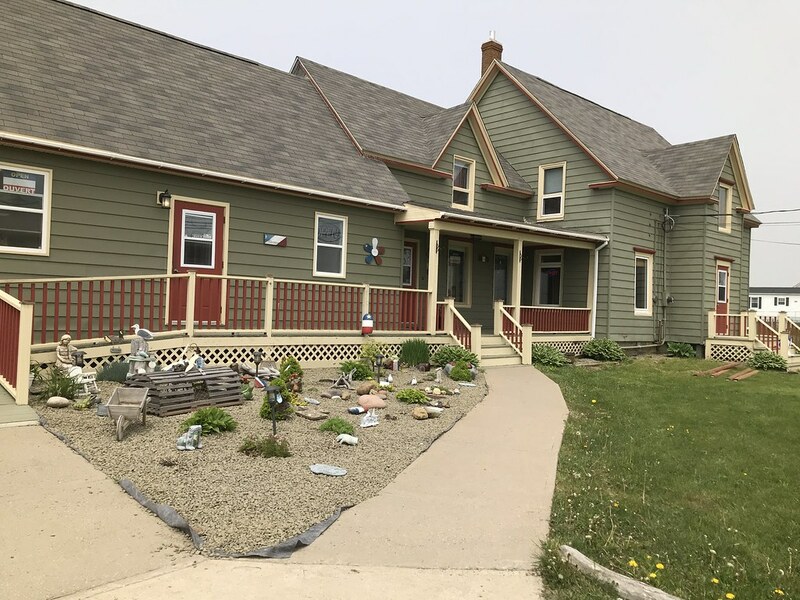 Saulnierville, Nova Scotia is home to Restaurant La Cuisine Robicheau, where you can dine on fresh local seafood and Acadian cuisine. Welcome to week 372 (6/7/2018) of Travel Photo Thursday. Join me this week as I tantalize your taste buds on the French Shore of Nova Scotia. Did you know that Nova Scotia has a french shore? You can also add our Travel Photo Thursday logo. A couple of weeks ago I left Annapolis Royal with a group of friends to explore the many vintage shops second-hand shops dotting the roadside between Annapolis Royal and Yarmouth. After a busy morning of rummaging through bins and racks, it was time to head to La Cuisine Robicheau Restaurant in the wee fishing village of Saulnierville on the French Shore (sometimes referred to as the French Acadian Shore). The village was founded in 1785, and many Acadians who were expelled during the Great Expulsion returned to Nova Scotia and took up residence in Saulnierville, Nova Scotia. The hope was they could live a peaceful existence away from the government of the day. The village is now part of the Municipality of Clare. We found La Cuisine Robicheau easily and arrived shortly before noon. Good plan, since 20 – 30 minutes later it was full. We were quickly seated by a friendly server and started to scan the menu. 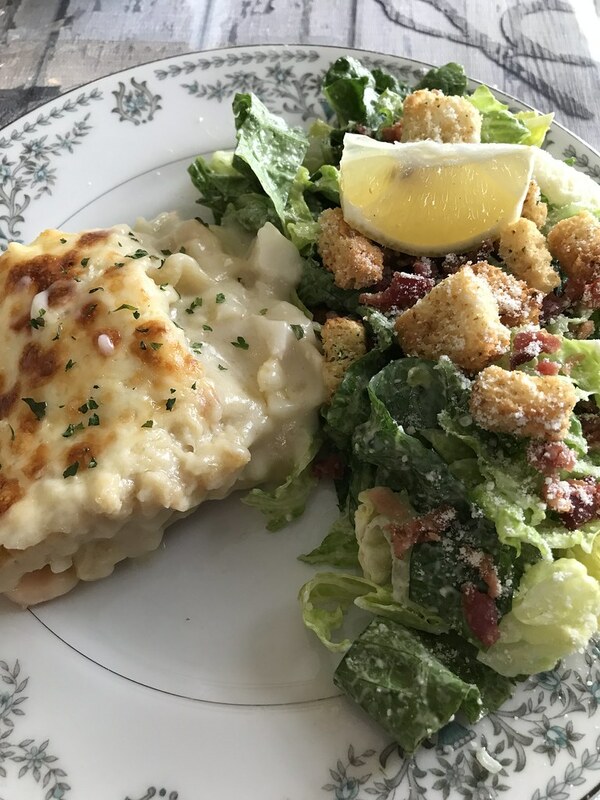 She also shared the daily special, which was seafood lasagna; lobster, shrimp and scallops, that would have been swimming in the near-by ocean the day before. I love any version of lasagna, so, as tempting as the rest of the menu was, I went with the special. I chose a Caesar salad for my side. We chatted and looked around at the art on the dining room walls as we waited in anticipation for our lunch. By the way, we all ordered the lasagna. It’s impossible not to follow the pack when you’re given an option of homemade lasagna with fresh seafood, right? Oozing with a white sauce filled with succulent seafood my tastebuds soared to foodie heaven. I savoured each bite, and all too soon, I was gazing forlornly at an empty plate. However, my tummy was having spasms of happiness. I haven’t said much about the Caesar salad, as it took second place to the hero of the plate. However, it was fresh and crunchy with a delicious dressing. If had only been ordering a salad, it would have been my choice. Don’t you love the pretty china plate? Everyone was happy with this delectable choice. This cute old fashioned Kemac stove sits at the entrance to the room where we ate. It serves as a self-service mini tourist bureau with lots of free brochures highlighting the area. You pay at the cash, and we were given separate bills, without asking. 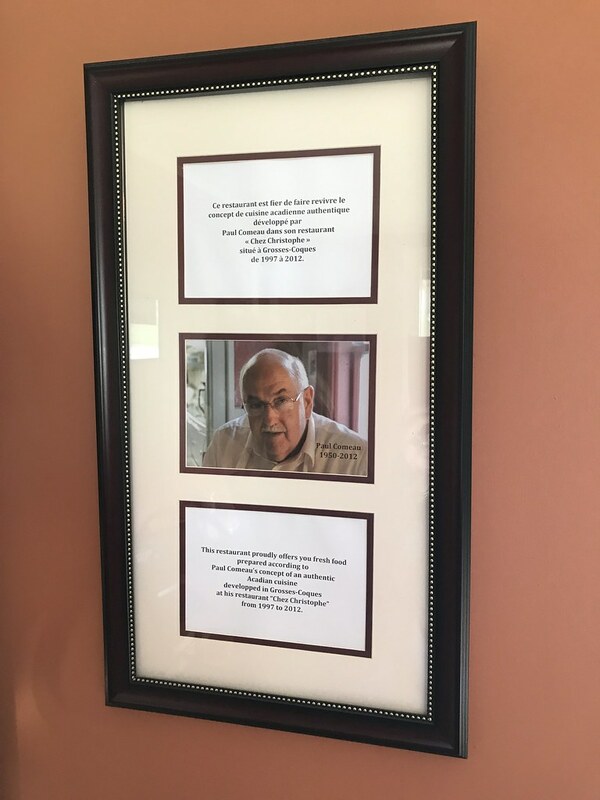 On the wall by the register is this picture of the man behind La Cuisine Robicheau in Saulnierville, Nova Scotia. This was a lunch (the restaurant’s website) to remember, and I will be going back again soon. Next time, I’m having the pie! Here’s a link to a recipe for seafood lasagna to try at home. Hours of Operation Tue-Sun 8 am to 7 pm Phone: (902) 769-2121 During the season (July and August) reservations are highly recommended. Call during the offseason to confirm they are open. 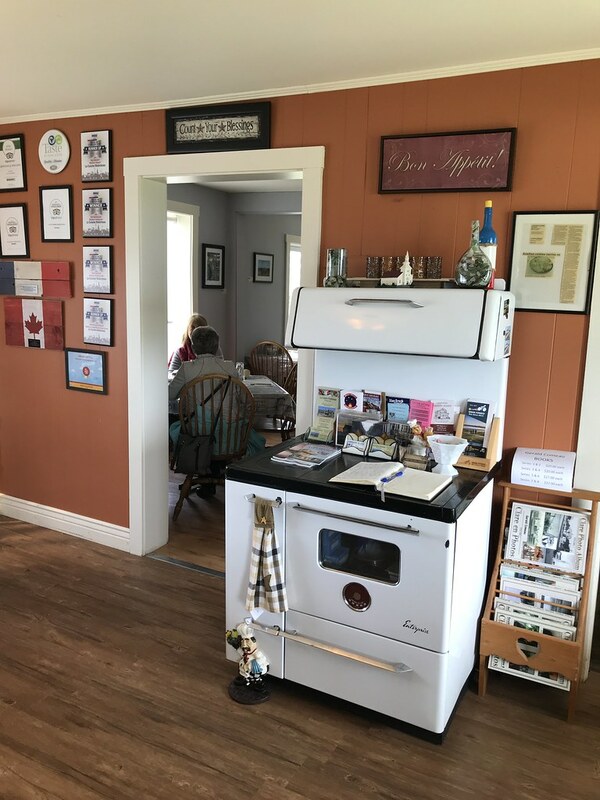 If you’re interested in buying some seafood, drive down the road to Comeau’s Seafood Ltd. You can purchase pickled herring in jars (bought for dad), smoked salmon (delish), lobster or seafood pate. The pates are superb. I haven’t tried my smoke salmon yet, but I’m sure it will be excellent, too. Have you experienced Nova Scotia seafood or eaten at La Cuisine Robicheau in Saulnierville? Let us know in the comments. The winner of the book: Annapolis Royal Through the Seasons is Lydia Lee. Congratulations Lydia! That seafood lasagna looks delicious!! Hi Lynda. It was outstanding. One of the best (and maybe the best) I’ve ever had. Hi Lydia. It was outstanding. One of the best (and maybe the best) I’ve ever had. Nancie. Your description of this delicious lasagna had me craving and then you topped it off with a pic! Not to mention, Caesar Salad is my favorite! Next time we visit home(Boston area) we might have to take the trip up north. I love such places where the food is great, the atmosphere warm & inviting and the staff friendly. If we ever visit this part of the world, will surely stop by at La Cuisine Robicheau. Hi Deeptha. I agree 100%. Good food and a welcoming atmosphere always equals a memorable dining experience. I’m quite sure this is the best restaurant in the area, by quite some distance. Love the seafood lasagna as well, I’d like to try it someday.. These are the kinds of restaurants that I love to find when traveling. And that lasagna! Wow! Hi Lydia. It was exceptional. Yes, I have been to Cape Breton many times. It’s a gorgeous part of our province. Hi Ruth. When you have the opportunity go for it. I love seafood lasagne. The food looks lovely and the restaurant is cute. Can’t say I’ve had seafood lagsanga but why nor? Also apologies for linking the already previously linked post – I went to delete it but I can’t. So not trying to double dip – just too stupid this morning! What a great find! Your lunch looked delicious. I love finding gems like these especially when there’s seafood involved. Good luck with the theater this weekend. I grew up on the east coast in the US, and truly fresh seafood is something I miss, living here in the Netherlands. We can get a few sorts, like herring and mussels, but not things like fresh crab or lobster. Yum. Hi Rachel. Nova Scotia is a fish lovers paradise. You have to be prepared to pay the prices. We export a lot, so in the province, prices are generally high too. Living here, I can watch for good sales. Thank you for the recipe…dinner Sunday night! This looks like a fun place to eat. One of these days I will get to Nova Scotia, for now I will live vicariously through your blog! Hi Jenny. Do come back often, and I hope you get to visit one day. Enjoy your homemade seafood lasagna. The lasagna looks so good! I also love the ambiance of the restaurant, the cute old fashioned kemac stove stole my attention. Great post! This looks awesome! It looks like you had a great time. Such awesome options…I definitely want to visit! Food looks good and the restaurant looks homely and welcoming – what more could you want! I love the look of this restaurant! The food also looks like it would be so amazing tasting. This meal absolutely looks amazingly delicious and now I am so hungry! I would enjoy eating here someday! Oh my! That definitely sounds like its worth the drive! Thanks for the recipe! This seems like such a homely place, it doesn’t really look like a restaurant at all which I find really quaint. The food looks lovely too. What a fun place! It looks so homey to have a meal. The food looks and sounds delicious, too. Glad you had a great time there! What a lovely restaurant! Their food looks really delicious! I find it cute too the Kemac stove I’ve never seen one here yet. I would love to pass by here and taste their yummy food. Wow, such a detailed post that would be so helpful to plan a great trip to Nova Scotia. Loving the pictures so much. I absolutely love seafood. I’ve never been to Nova Scotia but everything looks so great there as you describe it that I think this location is going on my priority list  Thanks for sharing! Hi Corina. I do hope you get to eat at La Cuisine Robicheau. It’s a meal you won’t forget anytime soon. Wow this place is adorable, and that food looks amazing! Will definitely check it out next time I’m in town! 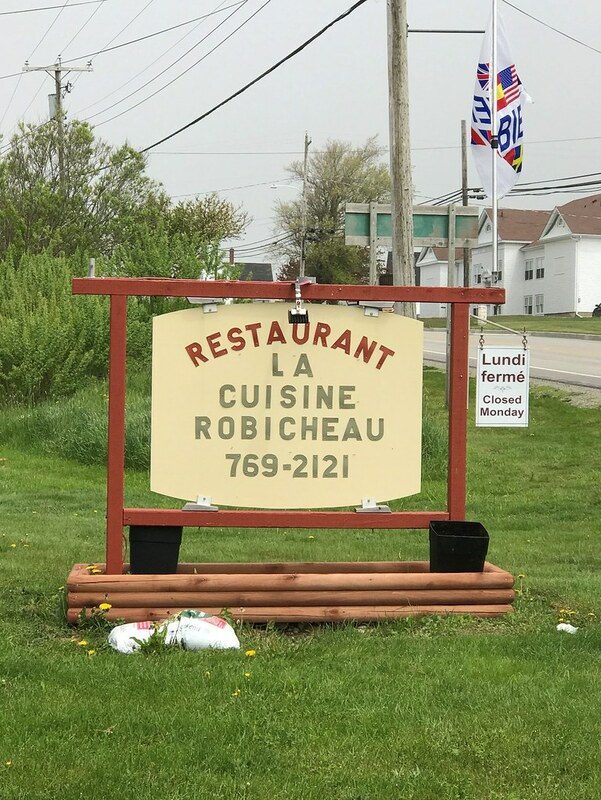 La Cuisine Robicheau definitely does look like somewhere worth driving to, I love restaurants serving fresh seafood and haven’t tried much Acadian cuisine. I’m sure I’d enjoy that seafood lasagne. Hi Kavita. I’m a big fan of Acadian cuisine and I live relatively close by. Living 30 minutes from the Italian border, I admit I’m a lasagna with tomato sauce kind of woman, but I imagine anything with seafood in that are was fantastic. Looked like a lovely setting and lunch. Hi Maureen. I usually do lasagna with tomato sauce, too. This is a delicious alternative, especially when all of the seafood is fresh. Nom nom nom.. That looks like a delicious platter! I love a good meal and can travel the distance for it! Always totally worth it. I love the look and feel of the place too – like a cute little cottage. Cheers! !